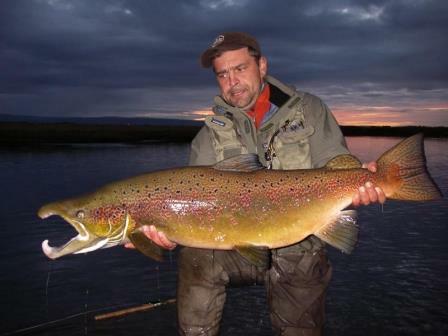 TrophyTroutGuide.com - Brown Trout/A killer Icelandic salmon.....close relative to the brown trout. What a set of jaws! A killer Icelandic salmon.....close relative to the brown trout. What a set of jaws!